Found in Pinellas County, Florida, Tarpon Springs is home to about 24,200 residents. The city is found just northwest of the Tampa area, which is home to about 2.8 million residents. With the close proximity to Tampa, Clearwater and St. Petersburg, the area is a very popular spot for tourists to visit every single year. Many come from all over the globe to enjoy the sunshine, beaches and attractions throughout the area. This causes the roads to be rather packed with residents and visitors making them very dangerous. Since visitors don't always know where they are going and they come with a unique driving style, it's not the best situation for drivers in the Tarpon Springs area. US 19 runs directly through Tarpon Springs and about 100,000 vehicles use the road every single day. The Tampa Metro area is most accessible from Interstate 75, which most visitors use to get to the area. The section of I-75 found in Florida is known as the 15th most deadly highway in the country. The Tampa Metro area is the second deadliest for pedestrians in the entire country. Traffic accidents in the area are on the rise. If the law enforcement assigned to monitoring traffic didn't do their job, the accident stats would be much worse. Throughout Pinellas County, about 64,000 traffic tickets were issued with about 18,000 given out for speeding and more than 12,500 given out for careless driving. Careless driving is the number one cause of traffic accidents in the state of Florida and often leads to an accident. Judges in the county only dismissed about 6% of all tickets issued. Getting out of your ticket in the Tarpon Springs area isn't an easy task and your chances are very slim. After too many traffic tickets, a driver in Tarpon Springs may end up with a suspended driver's license. This means you won't be able to drive anywhere and will have to either ask friends to give you a ride or call a cab. Using a cab service will get expensive and asking friends can be very stressful. 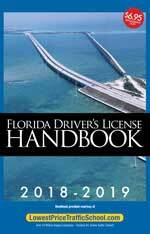 Driver's license suspensions in Florida due to traffic tickets happen on a points system. Every ticket comes with a specific number of points and after too many points; your license will be suspended. Get 12 points over any 12 month period and you will deal with a 30-day suspension. Make it 18 points in 18 months and that suspension becomes 90 days. Those still breaking traffic laws and getting 24 points in 36 months will lose their driver's license for an entire year. The suspensions can be even worse if you cause accidents or get caught drinking and driving. Speeding - 3, 4 or 6 points, depending on your speed and if you cause an accident. It's easy to see how the points can add up in a hurry and you can end up with a suspended license if you don't obey the traffic laws. 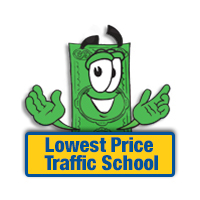 In Tarpon Springs, Florida, you can use online traffic school to avoid points from a recent traffic ticket. You will need to take the basic driver improvement course after you pay your ticket. This course will allow you to keep the points off your license and your insurance rates from going up. The process is rather easy. Start by pleading guilty or no contest to the ticket and pay the fine. Make sure you inform the clerk of the court that you will be taking the basic driver improvement course. Then, you can enroll in traffic school and take the course. Once you have completed the course, you will be issued a certificate of completion, which you need to turn back into the clerk of the court. That's all it takes to keep the points from your ticket off your license and your insurance rates from going up. If you're eligible for traffic school, it's the best option to keep points off your license when you get a ticket. The State of Florida allows all drivers to take the course up to 5 times and once every 12 months. If you haven't already taken the course 5 times or in the past 12 months, you can take it to erase points from a recent ticket. Any traffic ticket issued in Tarpon Springs, Florida will be processed by the Pinellas County Clerk of the Court. The clerk of the court will take your payment and will answer any questions you might have about the ticket. You will also need to let the clerk of the court know you will attend traffic school. Any information you need about the Pinellas County Clerk of the Court can be found on their website.